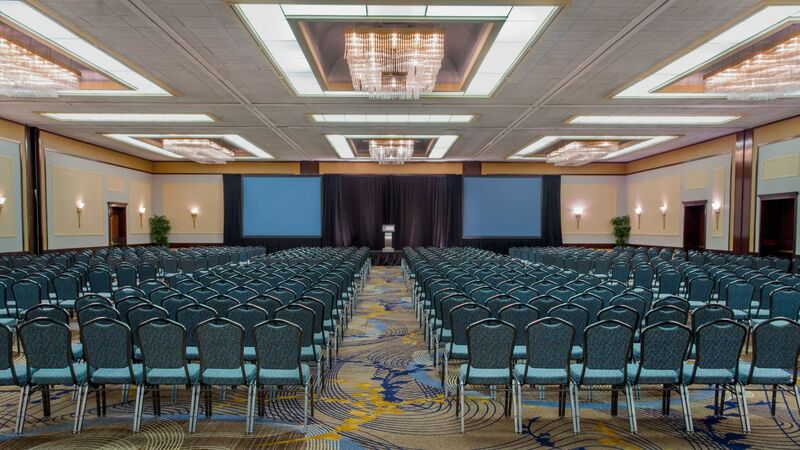 At Hyatt Regency Buffalo we offer over 23,000 square feet of beautifully renovated meeting and event space that can accommodate gatherings such as corporate trainings, conferences, personal milestone celebrations, and social galas. If you are planning an executive meeting that requires privacy, we have several Buffalo meeting rooms that are customizable for smaller boardroom sessions. When with us for an event at the Buffalo Convention Center, our hotel is connected to the Center via an enclosed, climate-controlled walkway. Select from 21 modern and versatile meeting rooms that can conform to your vision and standards. Our renovated meeting and banquet space boasts a sleek and contemporary look that provides the ideal setting for every event. 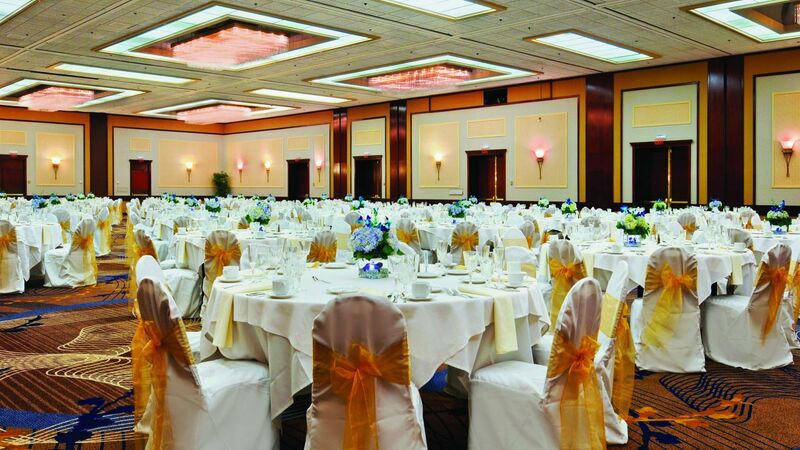 Your largest functions can be accommodated in our 10,125 square foot Grand Ballroom. 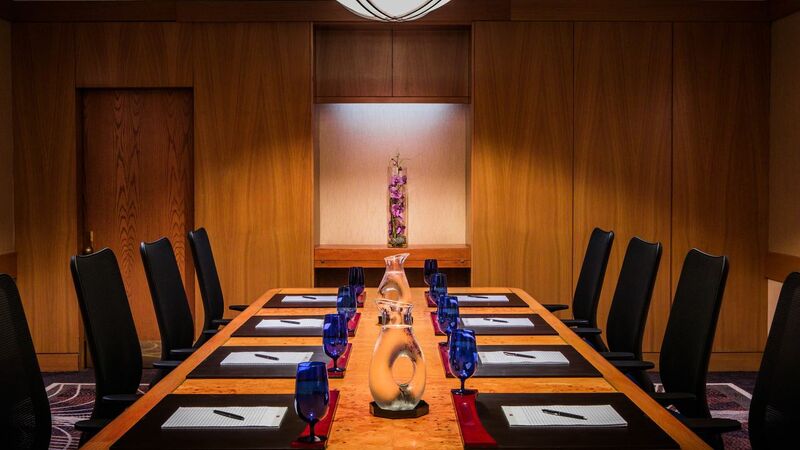 Confer with your closest associates in one of our private boardrooms. Organize the year’s most popular trade show at the adjacent Buffalo Niagara Convention Center. Regardless of the function, our exceptional staff, state-of-the-art equipment, and well-appointed venues will lay the foundation for a successful event. Imagine your wedding taking place in a beautiful and elegant setting, where your guests receive personalized service and dine on exceptional cuisine. Hyatt Regency Buffalo Hotel and Conference Center has made dreams come true for over 30 years, and we can turn your moment into a lifetime of memories. 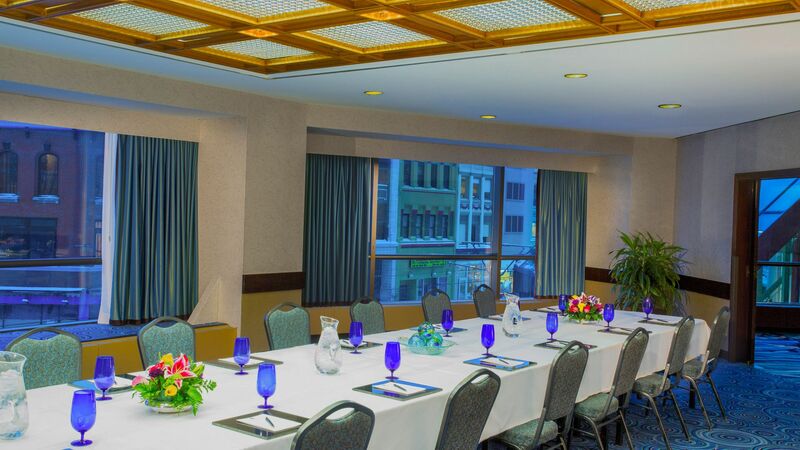 Trust the meeting professionals of Hyatt Regency Buffalo Hotel and Conference Center to ensure your next function will be extraordinary. Our recent $20 million renovation guarantees that a visually stunning experience awaits you. 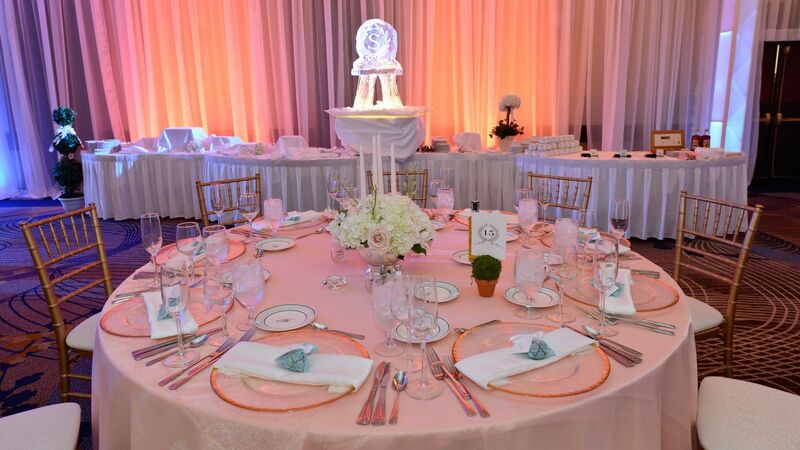 During your event, you’ll experience unmatched service, exquisite catering, and unique venues. 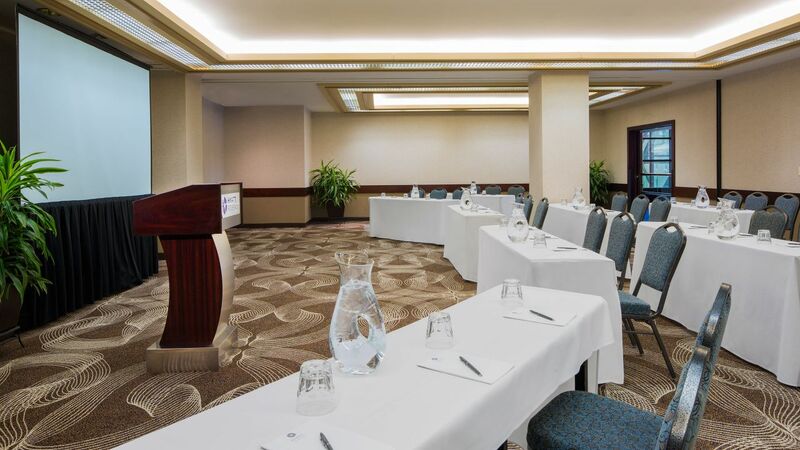 Whether you are planning an executive retreat for 10 or for 1,000, you’ll discover all you need for a successful meeting will be at the Hyatt Regency Buffalo. 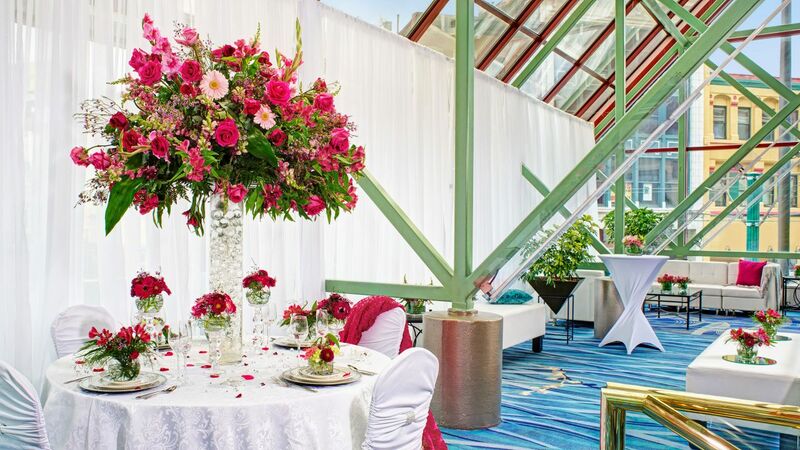 Hyatt Regency Buffalo has no peer in the state when it comes to full-service event planning. At Hyatt, every gathering is a special occasion, whether you are in charge of the gala event of the year for 1,000, hosting a private luncheon for VIPs, or celebrating a personal milestone.